Kate Middleton continued her stylish tour of Australia working Alexander McQueen, Roksanda Ilincic and Stella McCartney. Kate Middleton pulled out the big guns for her Easter weekend in Australia, wearing Alexander McQueen, Stella McCartney and Roksanda Ilincic. The Duke and Duchess of Cambridge continued their royal tour hitting Brisbane, Sydney, Canberra and Uluru (formerly known as Ayer’s Rock) this weekend. 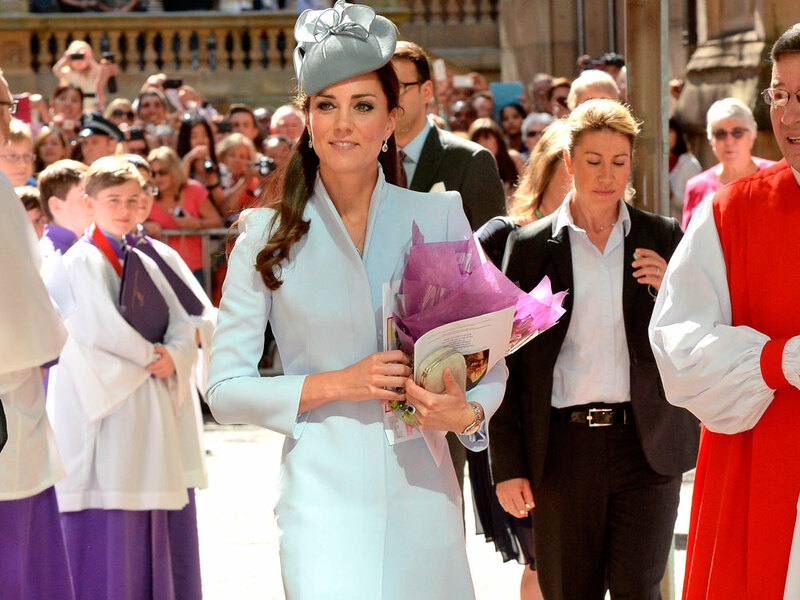 Kate’s strongest look, in our opinion, came at an Easter Sunday service at St Andrew’s Cathedral in Sydney where she wore a dove grey Alexander McQueen coat and matching Jane Taylor fascinator. The fashionable royal also recycled a blue Stella McCartney dress as she arrived in the country’s capital of Canberra and then a taupe cap-sleeved dress by Roksanda Ilincic for her visit to the stunning Uluru. It’s the second time on this tour that Kate’s worn Roksanda, she also rocked a dress by the London-based Serbian-born designer last week. Remember the yellow one that William thought looked like a banana? That one. This royal tour is whopper and continues until next week so we can expect plenty more fabulous looks from K-Midd in the upcoming days. Hurrah.